Hope you're well and glad that you weren't affected by Sandy...My town did alright compared to others on the coast. I love your home! It's so pretty. ahh! so happy to hear u guys are safe from sandy! 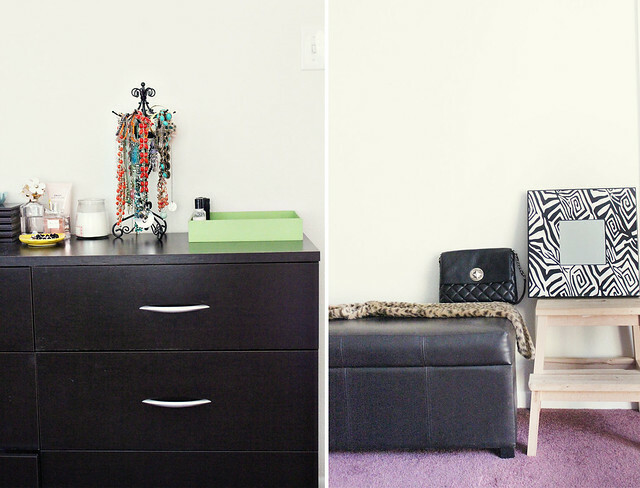 great shots of ur home! everything is so clean and beautiful! <3 it! 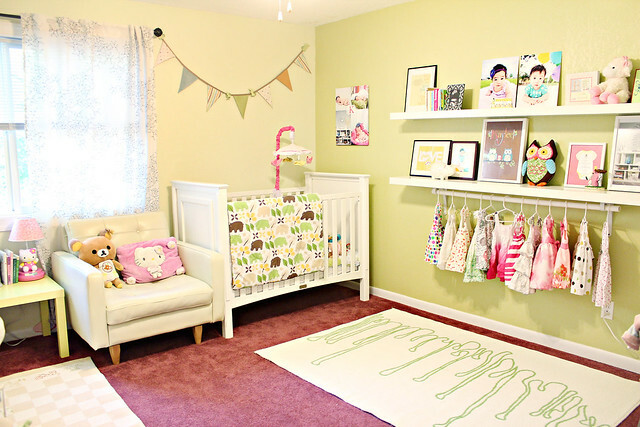 Love these posts about your home! I'm so relieved to hear that y'all are safe & sound!! 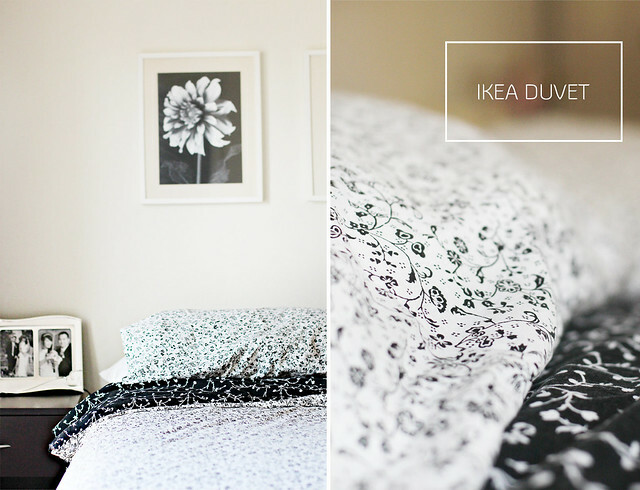 I love these snippets of your home, so much like pages from vignettes from Domino Mag! I appreciate cozy homes w/ so much character--would rather have that than a mcmansion beige box!! We have the smallest house of all our friends & I wouldn't have it any other way. So glad to hear you and your family are safe from Sandy! Hope your daughter had fun trick or treating. very well said! 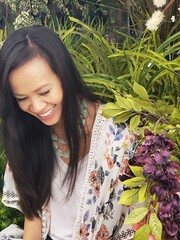 love the accessory organizer, so cute! I'm so glad you are safe from the hurricane! I didn't realize you lived in VA until recently. I have family there... I used to go there every summer when I was younger! 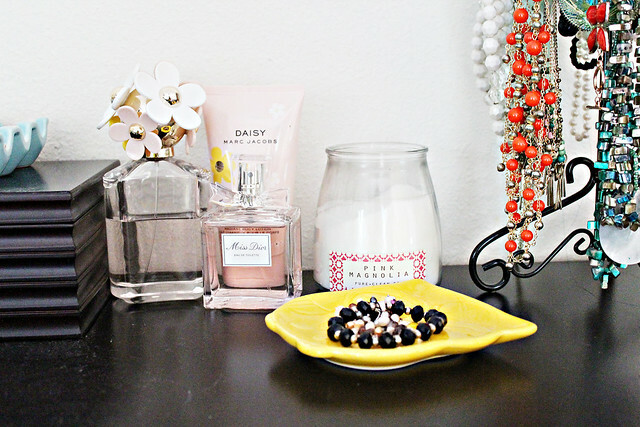 These pictures of the little details of your home are beautiful. 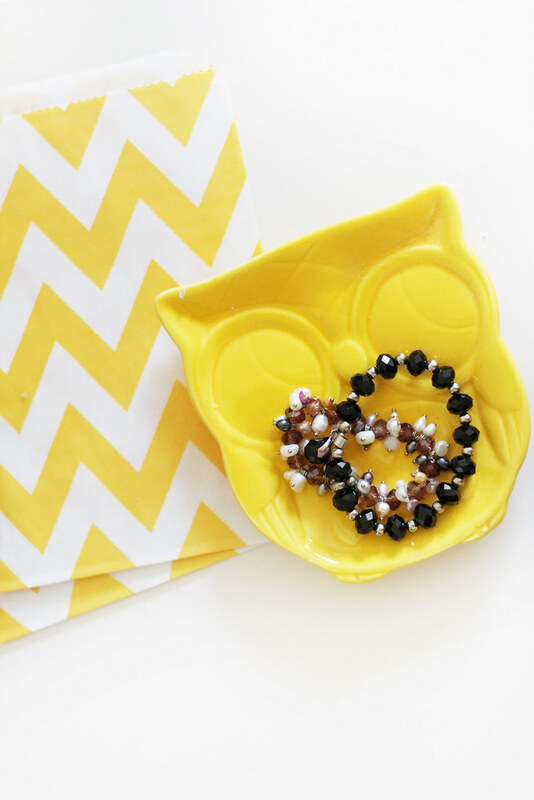 I must know where you got that cute owl plate from! The owl plate and the egg crate are my favorite pieces! 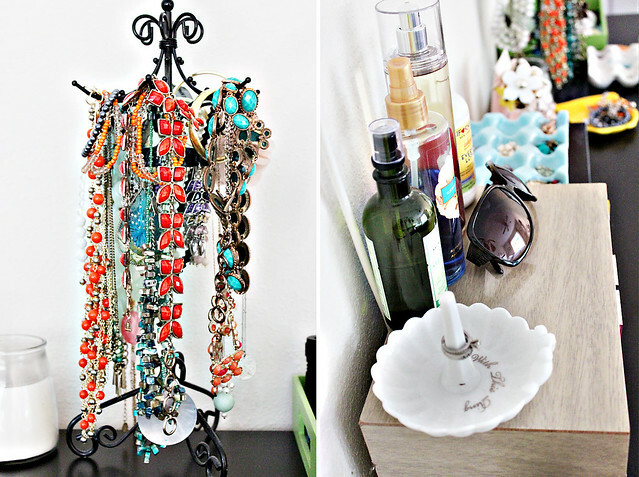 What a creative way to organize your jewelry! 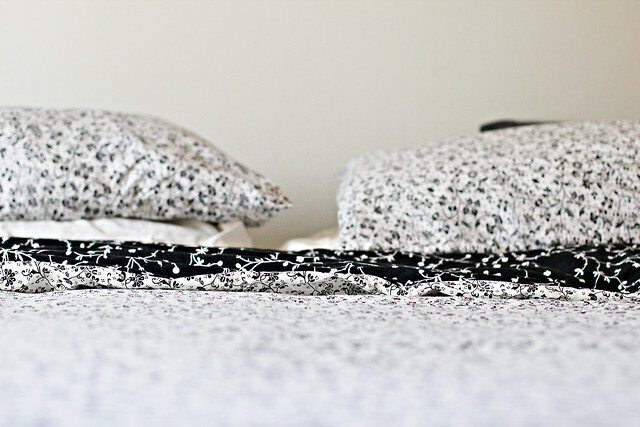 You bedroom is beautiful, in simple black and white decor and a touch of yellow. 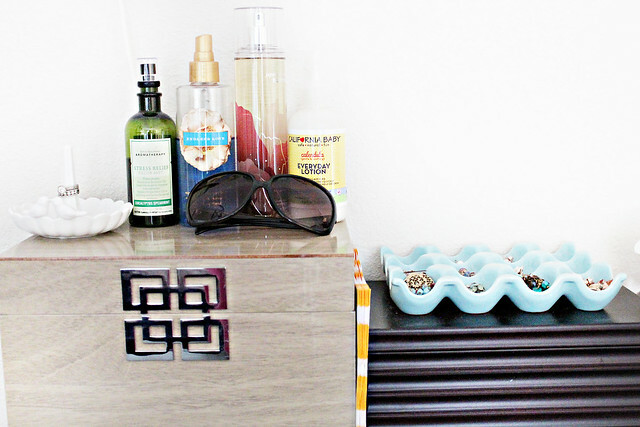 Love the egg crate and jewelry hanger. Is that a Kate Spade bag? The black one? It's lovely! very nice jewelry boxes !!! Your home is so lovely! 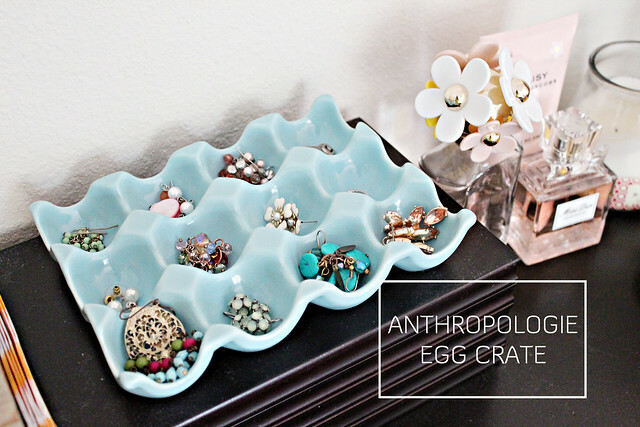 I love how you are using the egg crate for your jewelry! Genius! You always have such great sense of style even for your home decor. I'm glad to hear that you are safe from Sandy. Love the jewellery holders esp the egg carton one! How do you manage to keep it all out without the little one grabbing and distroying your pieces.